"I imagine even the Hive want this one dead." Keresh, Champion of Xol is a Hive Knight who is encountered in the Core Terminus Lost Sector in Hellas Basin. 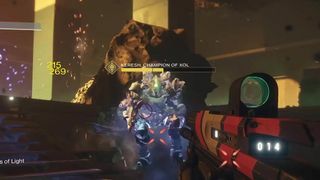 Defeating Keresh rewards players with a cache key for the Lost Sector chest which he guards.